Getting medical claims organized requires understanding how the insurance process works, along with the ability to make sense of medical statements, superbills, claim forms, and how they are related to a medical claim. We take your provider statements and match them up with insurance notices and your Explanation of Benefits. If payment is missing, we will follow up to ensure claims are sent to the insurance company. If necessary, we file the medical claims on your behalf. 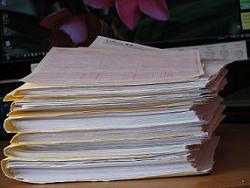 We file traditional insurance claims, HMO, PPO, long term care, claims for catastrophic policies and anything in between. 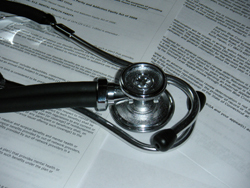 A medical claim can be denied for many different reasons and in two different stages. Pre-service denials offer an opportunity to get an appeal in place and have the service approved before an expense occurs. 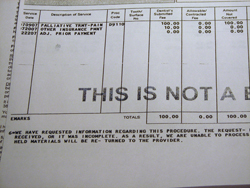 Post service denials require more work. There are four main categories: coverage related, administrative, technical and medical. It is critical to understand the type of denial in order to be successful getting it overturned. We take your denial and identify the type of denial as well as the probability of having it reversed. Depending on the kind of denial, we address the actual denial reason and tailor the appeal accordingly. We file first, second, Insurance Commission, Benefit Administrator, and Department of Labor level appeals. Dental insurance in general is stuck back in the 80s. Employers add it to the benefit package and most will do fine, with two dental cleanings and some minor dental work. The truth is that most dental insurance policies are limited by a $2,000 annual maximum, sometimes less. Back in the 80s, that paid for two root canals and two crowns. These days any one procedure will wipe out the policy maximum, and the consumers end up paying the rest of the bills. One nice option we all have with dental insurance, is an option rarely used in medical insurance, pre-treatment estimates. The dentist sends in what he is planning to do and how much he is planning to charge; in return, the insurance company will tell you how much they are planning to pay out. It helps with planning and budgeting. We are experienced in understanding dental claims and its coding. We file dental claims and follow up on your behalf. Flexible spending accounts permit pre-tax income to be set aside for medical expenses. However, it is necessary to file all claims promptly and to prove that you have spent the funds on medical expenditures. Expenses such as prescription medications, dental bills, vision care and glasses, medical claim co-pays, deductibles, and deductibles are all reimbursable. At the end of the year, the unused balance will be lost. We file those claims throughout the year, or at the end of the year, for you. Health Savings Account is a special bank account created to work alongside with a high deductible medical insurance. Money placed in these pre-tax bank accounts is set aside for medical expenses. It can be used for just about any medical expense, including cosmetic surgery, prescription medications, dental care, reading glasses, etc. It can also be saved and money is allowed to accumulate in the account for years. The associated insurance policies are simply “regular” medical insurance policies with all their rules and discounts. We guide you through this often-confusing process to decipher what and how much should be paid by the patient and the insurance company. Medicare is a federal medical insurance program for people over 65, the disabled and for people with permanent kidney disease. To become eligible for Medicare part A, a person must have worked forty quarters, which adds up to ten years, and paid into social security. When these qualifications are met Medicare part A is provided at no cost. This is the entitlement and covers hospitalizations, nursing home care (if all qualifications are met, with a limitation of 100 days maximum) and limited hours of home nursing care. Medicare part B is the second piece to complete the federal medical insurance program. Enrollment is optional at age 65 or later. Part B covers physician services, diagnostic imaging, laboratory charges, outpatient hospital procedures, and several other types of medical care. Medicare part B carries a monthly fee, that is scaled by income. 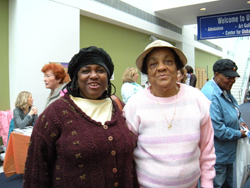 Newly enrolled Medicare beneficiaries charged $134 if their annual income is below $85,000. Although Medicare seems simple and easy on the surface, they have more rules than most commercial insurance companies have. After all, the federal Medicare program has 5,000 employees to come up with more rules. Medicare part A and B does not cover medical expenses in full; thus the need for a supplemental policy. Medicare part A deductible in 2018 is $1,134, during the first 60 days. The coinsurance amounts for hospital days that last beyond 60 days and no more than 150 days are covered. Medicare part B has a $183 annual deductible in 2018. It is also important to note that Medicare part B only covers 80% of Medicare approved charges. If Medicare denied a claim, the supplement will do the same. It is important to note that health insurance policies that serve as secondary policies after Medicare have its own rules. They may pay for medical care that Medicare denies. Since its inception back in 2005, Medicare prescription policies changed substantially. The first great offers of full coverage are gone and now we are left with policies with ever-increasing prices, decreasing coverage levels, and mounting rules. These ever so messy games repeat every year. Medicare Advantage plans closely resemble regular insurance policies that replace traditional Medicare. The basic promise is that they will cover medical care, and replace a need for a supplemental coverage and prescription benefits. The problem with these Medicare replacement policies is the fact that now a person has to follow both rules: Medicare and the insurance company's rules. Even so it can be a good choice for people who fully understand how they work and are willing to carefully consider in network provider prior to receiving medical care. We are available to help you navigate the confusing world of Medicare. Whether you are a new enrollee or are having problems with your current medical bills, we are here to help, decipher and provide guidance. Medicaid is a state and federal financed medical insurance program designated to help with medical expenses for those with limited income. Unlike Medicare this government program is based on need, and not tied into age or any other qualifying requirement. Collection agencies can be difficult to work with. After all, they want to collect from you, and if you start asking questions they work gets harder. These agencies were hired by your medical provider to collect moneys owned by you. The actual amount, or even the validity of this debt, isn't always clear.